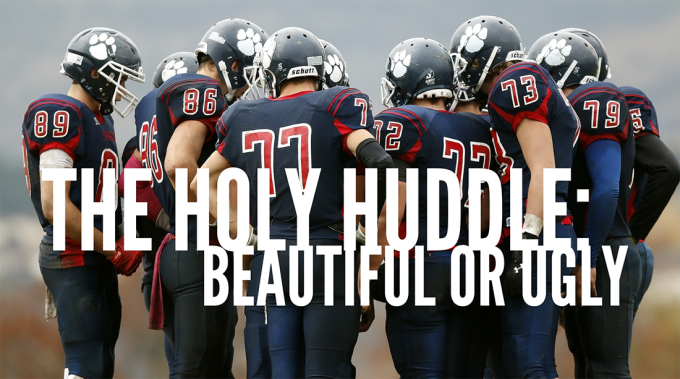 The Holy Huddle….to some a term that is beautiful and embraced….to others it’s an ugly term. As Christians the idea of a group of people, striving towards holiness, is an incredible thing. God gave us the church as the gathering of believers striving towards holiness…..our weekly or even more often “holy huddle”. It’s a beautiful thing, you come together with likeminded people, to worship the same God, to talk about the same struggles, to learn from God’s Word, and to take care of one another. Those of you that love FBCW or another church you’re apart of know what I’m talking about. You’re excited about your “holy huddle”. But wait there’s more……bad sales pitch I know but the reality is I don’t see the church as a “huddle”, holy yes, huddle no. You can argue in talking about ekklesia or the gathering of the church, it’s meant to be a huddle. Ultimately, that’s fair but when I think about a huddle, I think about the backyard football game where we place the football on the line of scrimmage then huddle up, arms on each other’s shoulders, ready for the mastermind of the group to create some play that they saw on TV in a college football game. The thing about a huddle is it intentionally excludes the other team…..for good reason. In the church’s case, if we exclude the other team, those that are perishing and going to hell without Christ as their Savior, we’re doing great harm to them. So maybe the ‘holy huddle” isn’t always a beautiful thing. I think we’re supposed to Love God, Love Our People…..errrr….I’m sorry I got that wrong, Love God, Love People. As the pastor who gives leadership to our Adult Sunday School ministry, I love to hear how our people minister to one another. 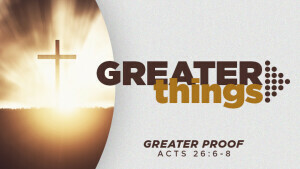 It’s extremely important in the life of the church that we do so. Our Sunday School ministry enables us to break down the larger church gathering into smaller gatherings where we can meet each other’s needs. It shows the beauty of the “Holy Huddle”. I was talking with Paul Fuehrer this past Sunday about meeting on Tuesday when his wife asked him if he’d be able to take one of the group members to physical therapy on Tuesday. As much as I would have enjoyed meeting and hearing about his ministry, he told her he’d opt to take the group member to physical therapy. It was just a few weeks ago that the Edmondsons tragically lost their daughter Victoria. During what had to be an extremely difficult time for that family Prentice Robertson/Kurt Schultz’s Sunday School stepped up in a big way to minister to them. From the scheduled meals, to the special prayer time in class, to the huge presence of class members at the funeral and more that I’m sure I’m not aware of. They surrounded that family with the love of God and His church. A couple months before that, we had a young woman who was pregnant and her parents were in Jerry Lawrence’s Sunday School group and they showered her with gifts to help her as a single mother. The list goes on and on of how the groups show the beauty of the gathering as we care for one another. It starts with compassion for the people, Jesus cared deeply about the people. Why? Because they were harassed, helpless, like sheep without a shepherd. They were lost! When is the last time you looked at your neighbor, your relative, your coworker, your friend and felt deep within you compassion towards them realizing they’re lost? More importantly when it comes to our Sunday School groups, when is the last time you spent any significant time as a group just talking about your burden for the lost that stems from your compassion for them? That would be a beautiful “holy huddle”, one that is burdened, talks about the lost, and ultimately when the lost are found, they’re welcomed into the huddle as they join in the mission of reaching the lost. Recognize the harvest is plentiful…..for all the fear some of us have in regards to sharing our faith….God says the harvest is plentiful. Sometimes we fear rejection so much we can’t even think about the reality there are those out there ready to accept the lifesaving message of the Gospel of Jesus Christ. As Sunday School groups, are we talking about the potential harvest, talking about the right time to bring in the harvest, preparing the soil for the harvest? A good farmer knows his fields, he’s concerned about the rainfall, the wildlife around it, the timing of when to plant, the timing of when to harvest. Farmers talk to each other to work together to help ensure the harvest if plentiful. How beautiful would the “holy huddle” be if each week part of our gathering was conversation about the preparation and activities related to the future harvest of the lives of people in our mission “fields”? Pray as though the harvest depends on it, because it does! The passage tells us to pray earnestly to the Lord of the harvest. Why? Because the laborers are few. We’re supposed to pray that God would send laborers into the harvest. This is a complex and weighty request because when you pray it you must first recognize that you are to be a laborer and that God needs other laborers to harvest as well. This isn’t the prayer where we sure wish everyone else would get their act together but if you understand anything about the new testament, starting with Matthew 28:19-20 and Acts 1:8 you understand as a Spirit filled Christian you are a laborer. So this is a prayer where you say, “Hey God help me be obedient to share my faith and help others to do the same”. What a beautiful thing it would be for our “holy huddle” Sunday School groups to pray together, weekly, for God to help them be obedient and to help others to be obedient to go into the harvest…..to share our faith. On that same note, we’re only the mouthpiece of the gospel, not the one who saves anyone. So while we’re praying to the Lord of the harvest, why don’t we pray specifically for the potential harvest by name? What a beautiful “holy huddle” we would have if weekly when we gather together as Sunday School groups we had lists of people we were praying for together because we know the harvest if plentiful. 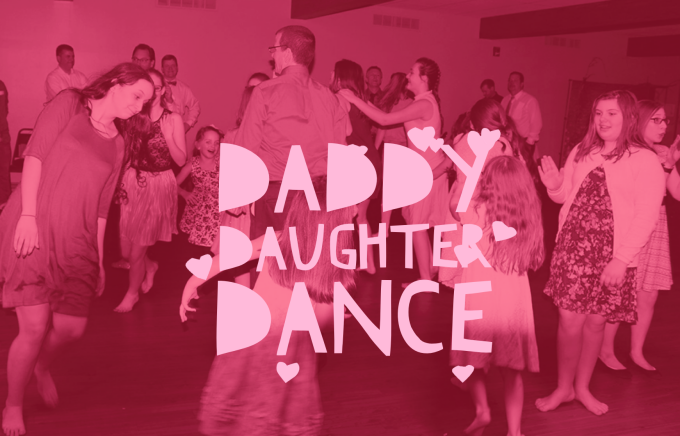 When our family moved here to Wentzville in January of 2008, the first thing my husband asked me to do was sign him up to take Grace (then 6 years old) to the city dance! The next year, Sophie was old enough to join them. Since then, it has always been a sweet occasion to let our little princesses get all dolled up to go dancing with their daddy!! He recognizes how important that relationship is and the necessity to be a godly example in their lives. I thank God for that! Every day we should model our lives after Christ, but it is a very special thing when a father shows his daughter how a man after God’s own heart should love and respect her. She then learns what to expect from a future suitor! For a few years, we continued the tradition of the attending the city dance, but something was missing. Ed said, “You need to do this at church! You should offer a dance that focuses on Christ and use it as a way to draw people to the Lord!! Use it as an outreach!” At that time, I was part of the Koinonia Ministry Team, and it seemed like a perfect way for the homeschool ministry to reach out to our community!! Dads arrive with their daughters all dressed up and beautiful!! They check in and then head to the Fellowship Hall. There they take a formal picture, and enjoy a little fellowship before dinner. When mostly everyone has arrived, the men pray and everyone eats together!! After dinner, the DJ invites everyone to the sanctuary where there will be a time of devotion. At that time, a male speaker (who is a little further ahead in his parenting walk than the dads that are attendees) speak about the importance of a relationship with Jesus, being a Godly father, and raising their children in the Lord. Topics also touch on the importance of the father/daughter relationship and how to model the way a godly man should treat her. 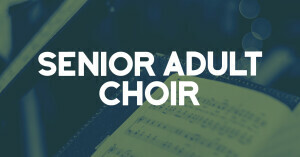 Past speakers include: Larry Knox, Prentice Robertson, and Mark Scott. We have been blessed by their wisdom, encouragement, and love of God!! At the same time, and without their knowledge, the moms are feverishly transforming the Fellowship Hall from Dining Hall to Ballroom!! When the devotion has ended, they direct everyone back to the Fellowship Hall for dessert, photo booth fun, and dancing!! Psalm 150:4 reminds us to “Praise Him with tambourine and dance; praise Him with flute and strings!” Ecclesiastes 3:4 says that there is a, “time to weep and a time to laugh; a time to mourn and a time to dance!” And so…they dance! It is a wonderful evening! All year long, girls and dads come up to me and tell me of the great time they had together and how they can’t wait until next year’s dance! Moms tell me of their girls coming home and gushing over dancing with their daddy!! They also go home and talk about the topic of the devotion and how to be more intentional in raising children who love the Lord! !